HOW TO BECOME A NATIONAL GEOGRAPHIC PHOTOGRAPHER? With years of experience working for National Geographic Creative, I know how to become a National Geographic photographer and what it takes to deliver the kind of photos that this world-renowned organization has come to expect. Learn more. I spent five years following the striped bass migration over a thousand miles from the Chesapeake Bay to Maine, and the entire adventure was produced into a film titled Running The Coast by Howard Films. Learn more. The size of your print should primarily be based on the dimensions of the space you are planning to use for your print. Learn more. Triptych and polytych art refers to artwork made from a single image that has been divided into three or more panels of varying sizes. Learn more. I offer a wide variety of prints styles and frames, and each option has different benefits and features. Learn more. My artwork can be printed directly onto a 1/2” thick maple-surfaced wood board for a beautiful, natural print. Learn more. My metal prints can be mounted onto 2mm black Styrene for increased durability in high-traffic areas. Learn more. My photos can be printed directly onto specially-coated aluminum sheets for an unbelievably vibrant print. Learn more. WHAT TYPE OF PHOTOGRAPHIC PRINT PAPERS DO YOU USE? I use professional photo papers in all of my canvas prints for the most beautiful, high quality prints possible. Learn more. I use museum-quality canvas to create prints of two types: loose canvas and canvas board. Learn more about these two types of canvas prints. I use professional photo paper prints bonded onto museum-quality canvas to create my canvas gallery wraps. Learn more. My photo prints can be face-mounted onto plexiglass and paired with polished acrylic for a durable, incredibly vibrant display. Learn more. Vibrant photos printed onto Vivid Satin material without the frame for a modern, gallery-inspired look. Learn more. The term Giclée Printing is based on a French word, gicleur, which describes the inkjet nozzles used to create these high-quality prints. Learn more. Fine Art Prints are typically made by using high-quality archival inks to print onto acid-free fine art papers to create an incredibly beautiful photographic print. Learn more. Standard shipping is 2-5 business days, depending on location. We also can ship internationally! I take great pride in my work and prints, and I want you to be completely happy with your investment in my art. If for any reason you are unsatisfied with your print, you may return it within 14 days of delivery, and/or exchange it for another print. Prints must be returned in new condition, packaged carefully in the original packaging if possible. Your refund will be issued as soon as I receive the returned print. Please contact me if you would like to arrange a return or exchange. In the event that you receive a damaged or defective print, please let me know within 7 days of receipt, and I will arrange for a new print to be shipped to you at no additional cost. Yes! The artwork you order can be framed! I offer 96 different frames to choose from. My framing options are available to you when you build your order. 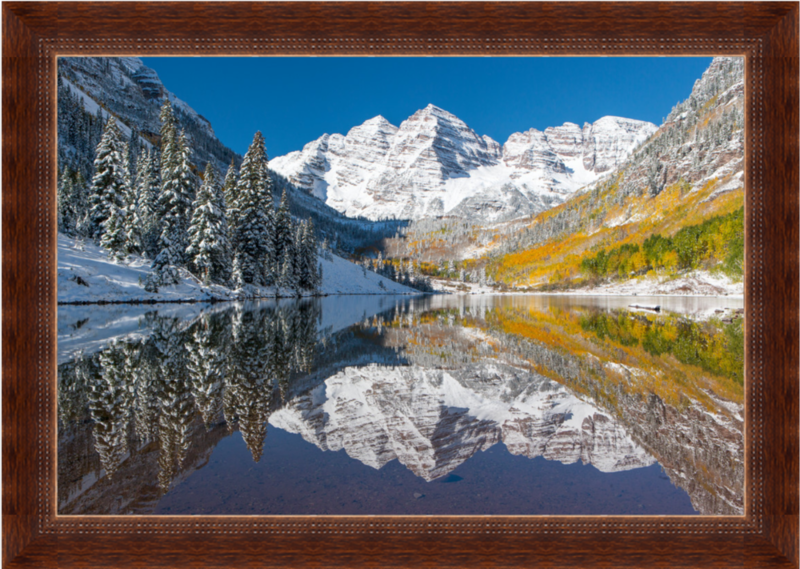 Start building your fine art print and choose the framing option at the "3 Styles" option and a fourth window will open with all the available frames for that particular product. Each frame offers a different mat option that goes best with the frame. If you have any questions building your artwork please don't hesitate to contact me with questions! I will be posting new work on a regular basis on this website so please come back and check for any updated new work from me. You can also sign up for my newsletter and receive information about new work being added to my store as well as photography tips and some behind the scenes information. I also write in a blog journal and you can subscribe to this if you want to be alerted when a new blog post comes out.